If you are ever stuck with what to make with some fine pieces of boneless chicken. 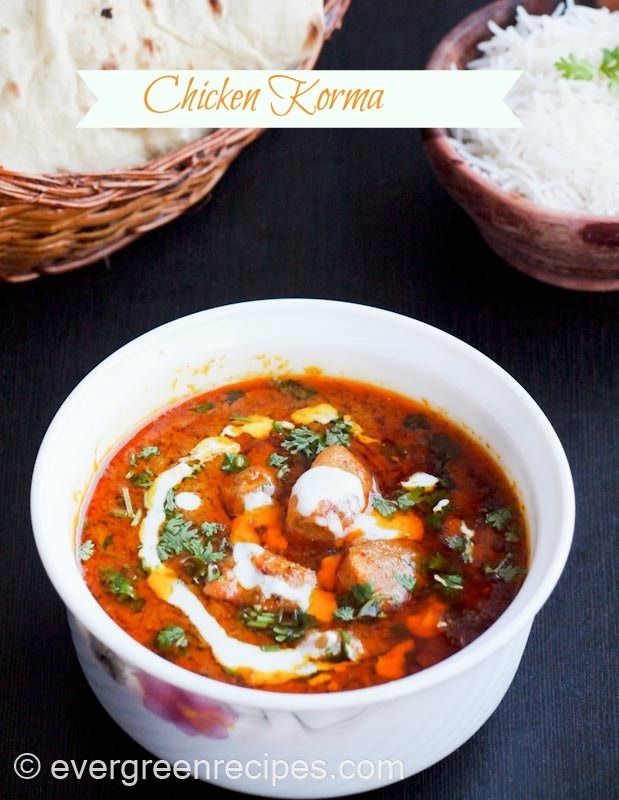 Try this Chicken Korma. It’s simply amazing. 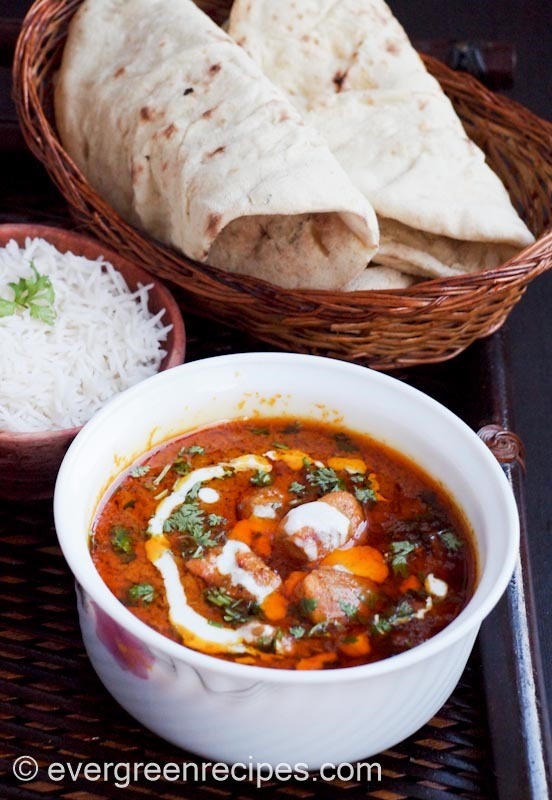 I wish I could make you feel the taste of this amazingly delicious korma. And if you can make some naan to have with this, you day is set. Try this Chicken korma this weekend and I promise you will hear all the praises for your culinary skills. 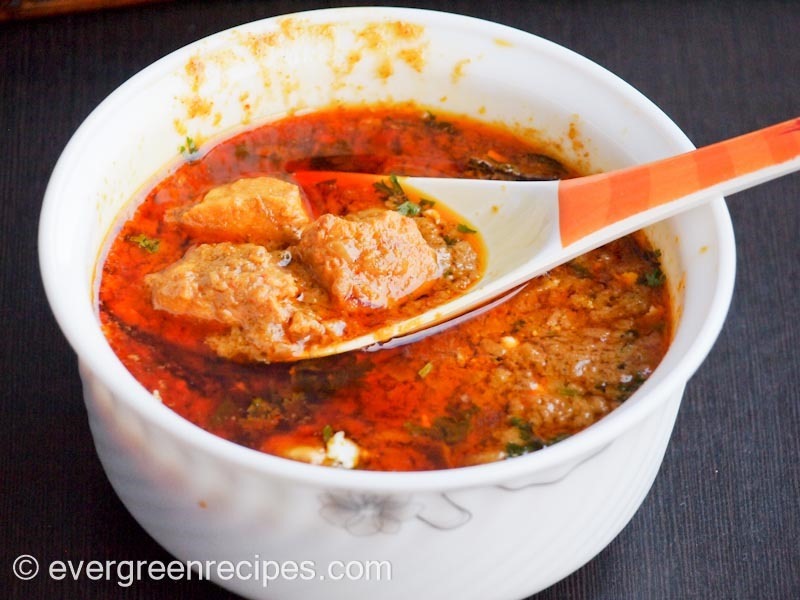 Below is the recipes of Chicken Korma with step by step pictures along with photos. I hope you will love this one as well. 1. Take the chicken pieces in a bowl and add all the ingredients given in table “ Ingredients for marinating”. Mix it well and keep it aside for marinating the chicken for 3 hours. 2. Take all the ingredient given in the table “Ingredients to grind the paste for korma” and put it in a grinder and grind it to make fine and smooth paste. You can add 2-3 tablespoon water while grinding the paste for korma. 3. Heat the pressure cooker with oil, I used mustard oil that gives nice flavours to the korma so if you are using mustard oil smoke it properly to avoid raw smell of the mustard oil. Saute with chopped onion, bay leaf, cinnamon stick and cardamom green. Fry the onions till light golden in color. 5. Pressure cook it on high heat for one whistle, the low the flame and cook for another 5 minutes. Switch off the flame, let the pressure settles down, open cooker and you will see the onions are mushy. 6. Add ground paste and green chilly into the pressure cooker. 7. Mix it well, cook the spices on slow flame till oil shows separately. Keep stirring in between to avoid the spices stick to the bottom of pressure cooker. It will take around 15-20 minutes to cook the spices. switch off the flame. 8. Heat another pan with 2 tablespoon oil and add marinated chicken in the pan. Fry the chicken on medium flame for 6-7 minutes or till oil shows separately. 9. Add Fried chicken into the pressure cooker, mix it well with the spices and cook on slow flame for another 5 minutes. 10. Then add beaten curd into the cooker and mix it well. Cook for another 7-8 minutes on low flame till oil shows separately as you can see in the image below. you will see the korma color is slightly changed because added curd. Add 1 cup of water, cover the lid and pressure cook it on high heat for 3 whistle. Switch off the flame, let the pressure settles down. Open cooker and add kewra water and garnish with chopped coriander leaves. Delicious chicken korma is ready, serve hot with naan and rice. Take the chicken pieces in a bowl and add all the ingredients given in table “ Ingredients for marinating”. Mix it well and keep it aside for marinating the chicken for 3 hours. Take all the ingredient given in the table “Ingredients to grind the paste for korma” and put it in a grinder and grind it to make fine and smooth paste. You can add 2-3 tablespoon water while grinding the paste for korma. Heat the pressure cooker with oil, I used mustard oil that gives nice flavours to the korma so if you are using mustard oil smoke it properly to avoid raw smell of the mustard oil. Saute with chopped onion, bay leaf, cinnamon stick and cardamom green. Fry the onions till light golden in color. Pressure cook it on high heat for one whistle, the low the flame and cook for another 5 minutes. Switch off the flame, let the pressure settles down, open cooker and you will see the onions are mushy. Add ground paste and green chilly into the pressure cooker. Mix it well, cook the spices on slow flame till oil shows separately. Keep stirring in between to avoid the spices stick to the bottom of pressure cooker. It will take around 15-20 minutes to cook the spices. switch off the flame. Heat another pan with 2 tablespoon oil and add marinated chicken in the pan. Fry the chicken on medium flame for 6-7 minutes or till oil shows separately. Add Fried chicken into the pressure cooker, mix it well with the spices and cook on slow flame for another 5 minutes. Then add beaten curd into the cooker and mix it well. Cook for another 7-8 minutes on low flame till oil shows separately as you can see in the image below. you will see the korma color is slightly changed because added curd. Add 1 cup of water, cover the lid and pressure cook it on high heat for 3 whistle. Switch off the flame, let the pressure settles down. Open cooker and add kewra water and garnish with chopped coriander leaves. Delicious chicken korma is ready, serve hot with naan and rice.